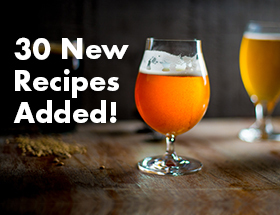 This is a very straightforward extract recipe with 50 percent wheat malt. A small partial mash lends the aroma of wheat and Pilsner malts. In a large kitchen pot (not your brew kettle), heat 1 gallon (4 L) of water to 161° F (72° C). Place crushed malts in a nylon steeping bag and steep them in the hot water for 45 minutes. Hold temperature as close to 150° F (66° C) as you can reasonably manage over this period. (This is a small mash.) Stir occasionally. Additionally, heat 0.5 gallons (2 L) of water to 170° F (77° C) in a small pot and heat 2.5 gallons (9.5 L) of water to a boil in your brew pot. 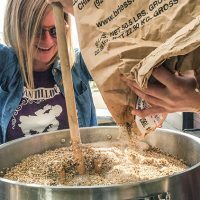 When the mash is over, place a colander over your brew kettle and place the grain bag in it. Pour the wort from the small mash through the grains (to filter out any large bits of grain) and rinse with the 170° F (77° C) water. Set grain bag aside. Dissolve roughly half the malt extract in the brew pot and resume boiling. To dissolve the malt extract, put it into one of the pots you used previously. Ladle hot wort from the brewpot onto it and stir to “pre-dissolve” it a bit. Then, stir it into the brewpot liquid. This will help ensure that none of the heavy extract sinks to the bottom of the pot and scorches. Boil for 60 minutes, adding hops at the beginning of the boil. Do not let boil volume dip below 2.5 gallons (9.5 L) during boil. Top up with boiling water, if needed, to avoid this. Stir in the remaining malt extract during the final 10 minutes of the boil. 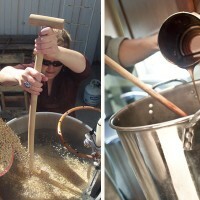 When the boil is finished, cool the wort to 54° F (12° C), or as cool as you can get it with a reasonable effort. Transfer to a sanitized fermenter and top up to 5 gallons (19 L) with cool water. Aerate the wort and pitch the yeast. Ferment, allowing the temperature to creep up to 64° F (18° C). Prime beer with corn sugar in bottling bucket. If using standard beer bottles, prime for 3 volumes of CO2 using 6.5 oz. (180 g) of corn sugar. 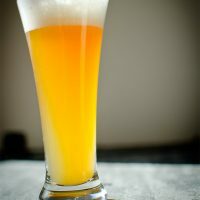 If you are using heavy wheat beer bottles, prime for 4.0 volumes of CO2 using 9.5 oz. (270 g) of corn sugar. Store bottles somewhere warm for two weeks. 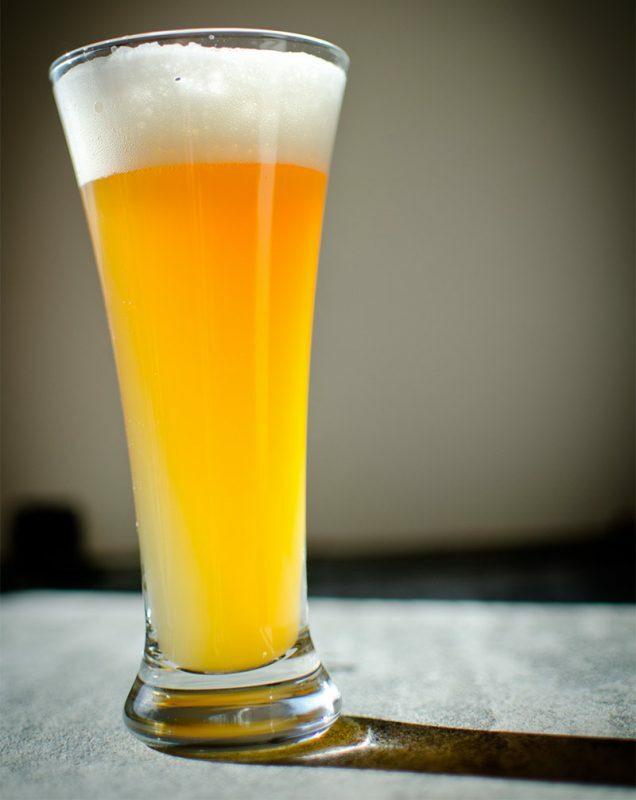 Check for carbonation and move beer to cold storage.